Born in Jackson, Mississippi, Ashleigh relocated to Atlanta, Georgia with her family in 2003 at age 14. As a teen, self-expression was always her passion. She dabbled in painting, dance, modeling and writing. Ashleigh later attended Georgia State and majored in Marketing. During her time at Georgia State, she began promotional modeling for events including the V-103 Car and Bike Show, The Bronner Brothers Hair Show, and the BET Hip Hop Awards. This later landed her a gig as a spokes model for a hair company called iWeave. During her time as a spokes model, she realized she had a unique voice that needed to be heard. From there, she began to write down several ideas that later transformed into a blog. The blog was initially for venting purposes and for self-expression but after getting such a great response, Ashleigh went on to create SingleWomanChronicles.com. 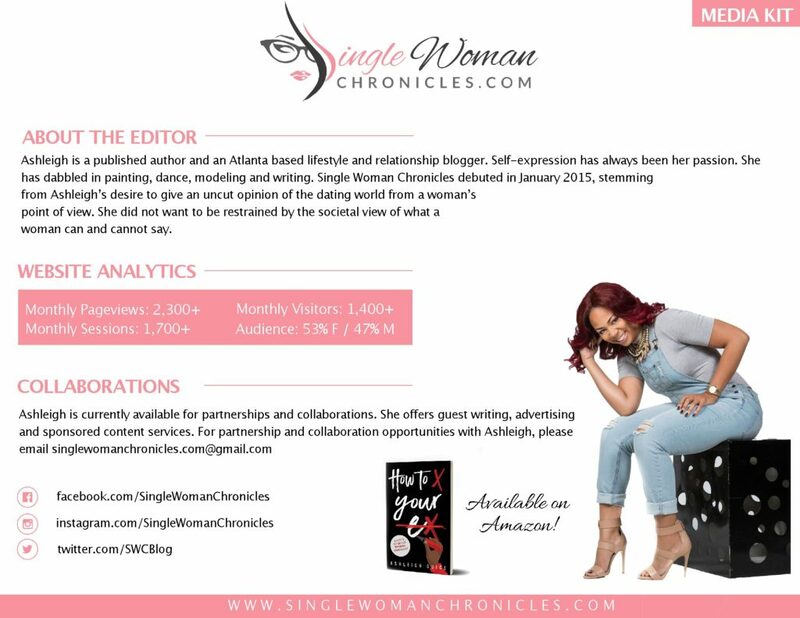 SingleWomanChronicles.com stemmed from Ashleigh’s desire to give an uncut opinion of the dating world from a woman’s point of view. She did not want to be restrained by the societal view of what a woman can and cannot say. SingleWomanChronicles.com debuted in January of 2015 and is continuously making progress. Through the blog, Ashleigh writes but also interviews men to get their uncensored opinion on what really goes on in the world of dating. With a passion for the art of self-expression through writing, Ashleigh will continue to make a great name for herself in the industry.